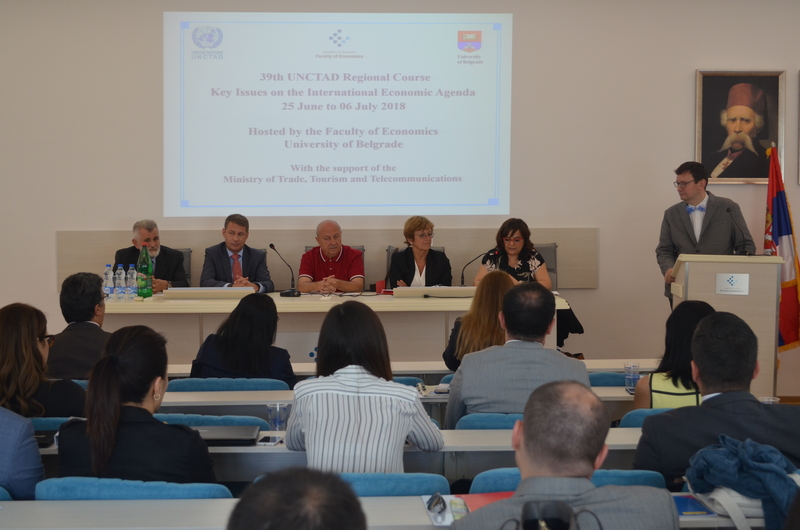 The 39th Regional Course of the United Nations Conference on Trade and Development (UNCTAD) was officially opened on June 25, 2018 in the Professors’ hall of the Faculty of Economics, University of Belgrade. 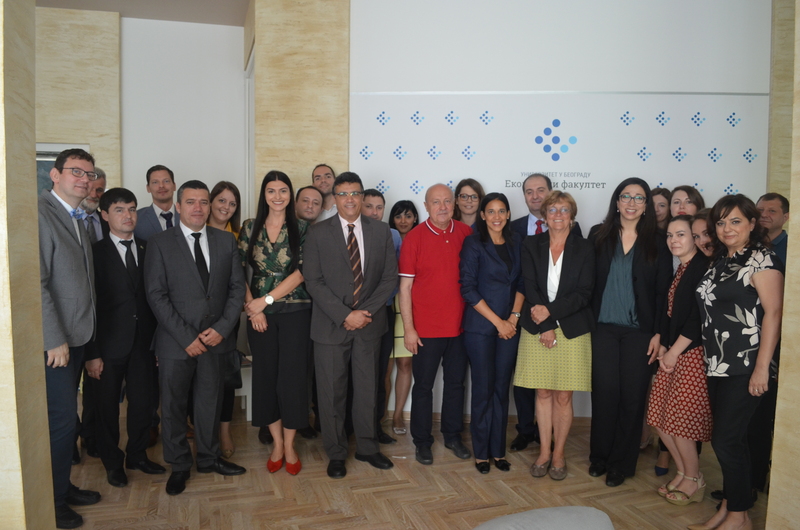 The main topic of the 39th Regional Course are the key issues of international trade for countries in transition, in which several individual modules will be organized, within which Serbia will have the honor to share its experience on the topic of foreign direct investments, small and medium enterprises, clusters and multinational companies. 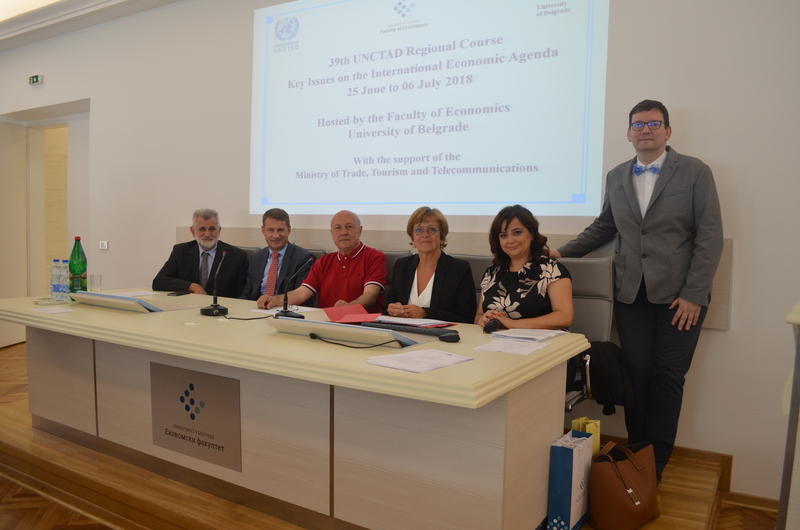 The UNCTAD course will be attended by representatives of ministries and other governmental institutions, as well as partner universities from Azerbaijan, Albania, Bosnia and Herzegovina, Georgia, Kazakhstan, Hungary, Macedonia, Kyrgyzstan, Moldova, Montenegro, Ukraine, Turkmenistan and Serbia. At the opening ceremony, the attendees were addressed by: The Head of the UNHCR in Serbia, Hans Schodder; Deputy Secretary-General of UNCTAD, Isabelle Durant; Head of the EU and EFTA Department at the Ministry of Trade, Tourism and Telecommunications, Republic of Serbia, Tatjana Dinkić; Vice-rector for science, innovation and technology transfer at the University of Belgrade, prof. Prof. Dr. Živoslav Tešić and the Dean of the Faculty of Economics in Belgrade, prof. Dr. Branislav Boričić. The Faculty of Economics, University of Belgrade, has been selected as a multi-year partner in the organization of the Regional Course of the United Nations Conference on Trade and Development (UNCTAD) for the period 2014-2018. This year the course will be held in the period from June 25 to July 06.